WASHINGTON — Intelligence officers in a small office in China’s vast intelligence-gathering network for years stole secrets from aerospace companies in the United States and abroad, Justice Department officials said on Tuesday in unsealing the third indictment in recent weeks that detailed China’s elaborate efforts to steal corporate secrets through espionage and hacking. Two Chinese intelligence officers and five hackers repeatedly broke into corporate computer systems to steal intellectual property and other information about the aerospace industry, according to the indictment, which had been under seal since June. From January 2010 to May 2015, they stole turbofan engine plans and other confidential business information from 13 companies, according to court documents. 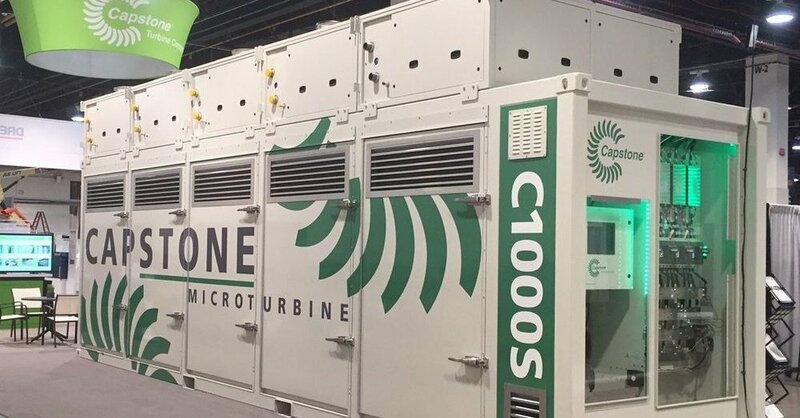 They included Capstone Turbine, a gas turbine manufacturer based in Los Angeles, and other unnamed companies in Los Angeles and San Diego as well as Massachusetts, Arizona, Oregon and Wisconsin and overseas in Britain, France and Australia. At the time, a Chinese government-owned aerospace company was developing a comparable commercial aircraft engine, the government said. The officers worked in the Jiangsu Province office of the Ministry of State Security, China’s primary domestic and foreign intelligence-gathering agency. That office was also at the heart of the two other recent cases involving China’s efforts to steal information from the American aerospace industry. China has long pilfered American corporate, academic and military information to bolster its position in the global economy, and the three cases show the Justice Department’s continued crackdown on China’s efforts to steal corporate data for China’s commercial gain, Adam L. Braverman, the United States attorney for the Southern District of California, said in a statement. This month, Yanjun Xu, a deputy division director in the office, was charged with trying to steal secrets from GE Aviation. Mr. Xu was arrested in Belgium in April, about a year after he began grooming a GE employee to obtain and deliver corporate secrets, prosecutors said. The case was the first time a Chinese intelligence official was extradited to the United States to be tried in federal court. In September, the department arrested Ji Chaoqun, a United States Army reservist from China, on charges that he secretly provided information about aerospace industry employees after meeting Chinese intelligence officers from the Jiangsu office in 2013. One of those officers, who was arrested in April, was Mr. Xu, according to an American official briefed on the investigation. The information Mr. Ji provided would have been used in the Chinese government’s efforts to recruit those employees as informants, the Justice Department said. The indictment unveiled on Tuesday accused the two intelligence officers, Zha Rong and Chai Meng, and other co-conspirators in the Jiangsu office of working with hackers to steal turbofan technology used in American and European commercial airliners. They also accused them of working with two employees in a Jiangsu Province office of the unnamed French aerospace manufacturer, Gu Gen and Tian Xi, who had been recruited to act as spies by the Chinese intelligence officers. They were also charged. An unidentified American company and the French manufacturer oversaw the turbofan engine project, according to court papers. The hackers — Zhang Zhang-Gui, Liu Chunliang, Gao Hong Kun, Zhuang Xiaowei and Ma Zhiqi — also infiltrated other companies that made turbofan jet engine parts, prosecutors said, and leased a global network of servers to hide their movements. The hackers sent spearphishing emails to company employees and planted malware into corporate computer networks, according to the indictment. They also turned their corporate websites into malicious sites that would compromise the computers of anyone who visited them, law enforcement officials said. From November 2013 to February 2014, they also groomed Mr. Tian and Mr. Gu, employees in the French aerospace company’s China office, to work with Chinese intelligence officers, according to the indictment. Mr. Tian planted malicious software into his employer’s computer systems for the Chinese intelligence officials, according to court documents. Mr. Gu, his office’s head of information technology and security, told Chinese intelligence officers that law enforcement officials had noticed the presence of malware in the company’s systems, prosecutors said. The warning allowed the conspirators to try to hide their identities. Mr. Zhang was also charged in a separate case claiming that he and another Chinese citizen used some of the stolen information for their own criminal scheme. The Justice Department intends to bring more such corporate theft cases, said John C. Demers, the head of the National Security Division at the agency.